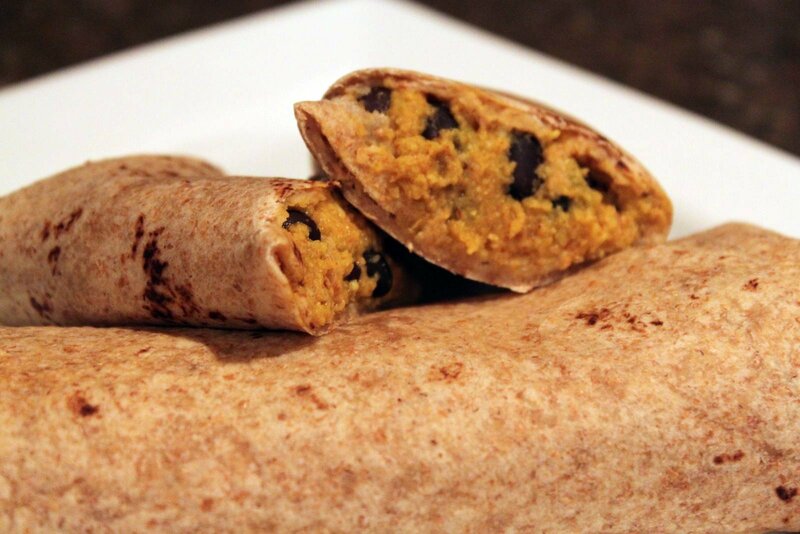 I am a bit behind in writing my posts, but the Squash ‘Hummus’ and Black Bean Burritos that I proposed last week were fantastic! Not all that surprising, I mean who has ever heard of a bad burrito? Seriously though, I only made four of them and it was not even close to enough. Exercising careful restraint we were able to stretch them to last for two meals, but like their Sweet Potato and Black Bean counterparts, one is never enough. Carefully mix the black beans into the squash hummus without smashing up the black beans too much. Place about 1/2 cup of the black bean and squash mixture in each tortilla and fold up burrito style.